Original picture taken around 1912 by William James Topley. Unfortunately, because of the presence of unstable Leda clay in the geology of the site, a tall tower that was situated at the front of the building had to be taken down in 1915 due to settling and the concern that the foundation could not support the weight. This is an eastbound freight train about to cross the drawbridge over the Rideau Canal, looking towards the north west with the newly completed Victoria Museum in the background. The locomotive is GTR 2557 (the last digit can be clearly seen on the dome). 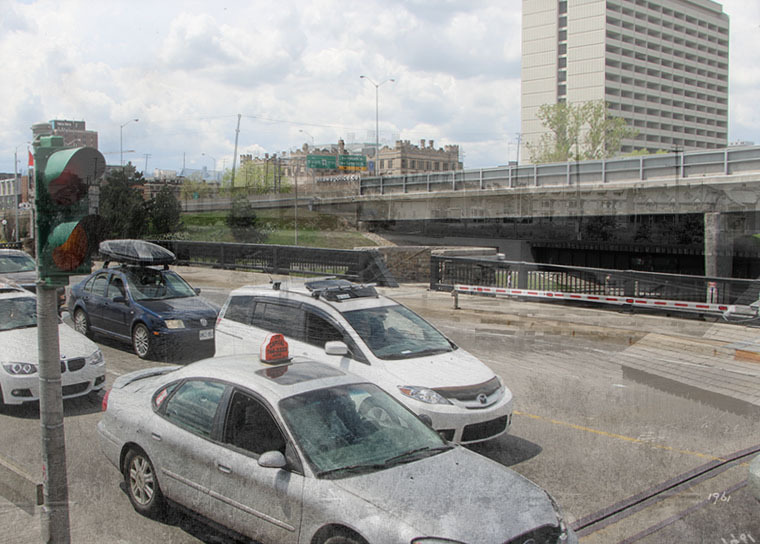 It is one of the 1898 Baldwin 0-4-0 switchers bought by the CAR and numbered successively CA-5 GT-1315 GT-2557 and CN-40. 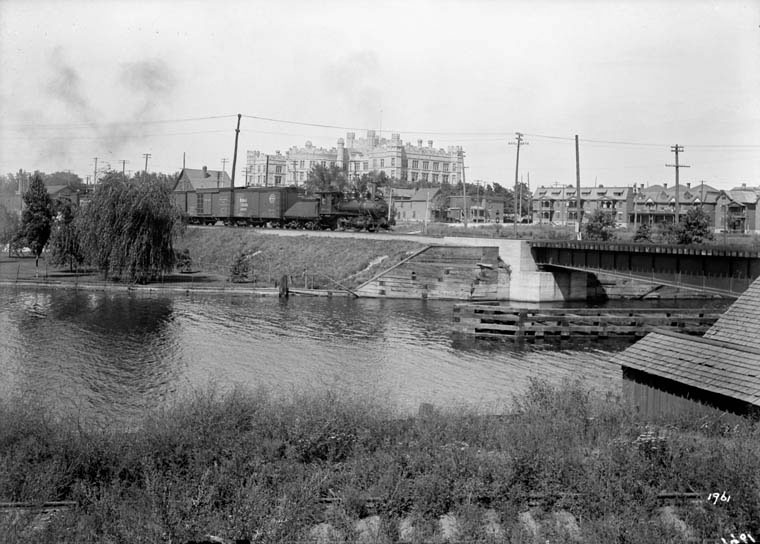 In the foreground is one rail of the overgrown brickworks canal siding which was removed for the construction of the Pretoria Bridge in 1915. 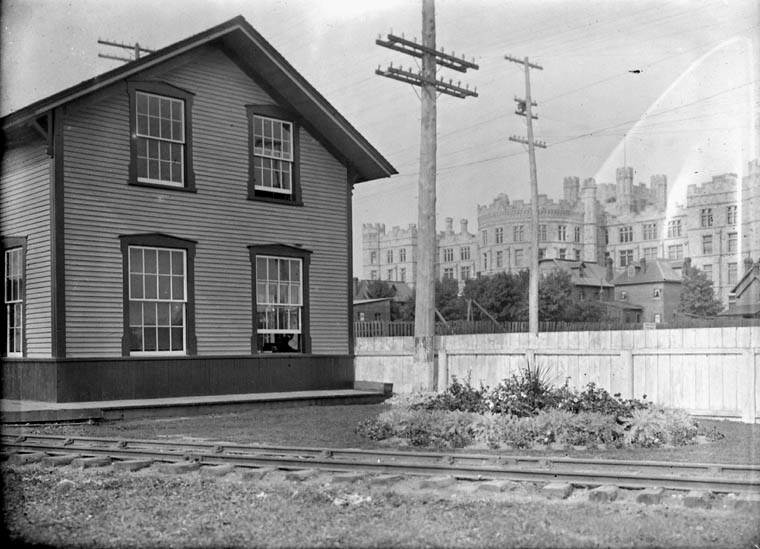 The building on the extreme left in the trees is a two storey structure and could be the Elgin Street station building with Victorian roof decoration removed and new windows inserted in the upper half of the end wall.